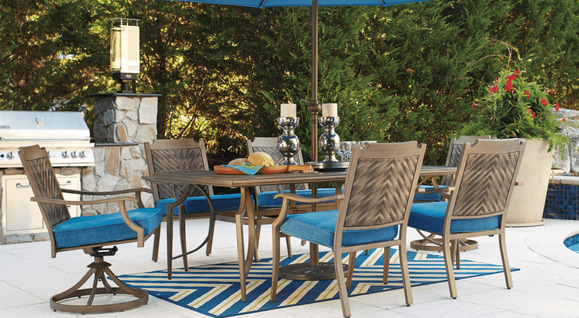 Partina outdoor aluminum dining set mixes form and function in such a stylish way. Chevron-woven wicker chair back and all-weather Nuvella™ cushion with the feel of velvet help while away the hours. Rust-resistant aluminum frame offers years of support.